Jeanne Bessette at Mirada Fine Art, Not Just a Number, Acrylic/Mixed Media on Canvas, 60" x 60"
We are absolutely thrilled to introduce Jeanne Bessette to our patrons. 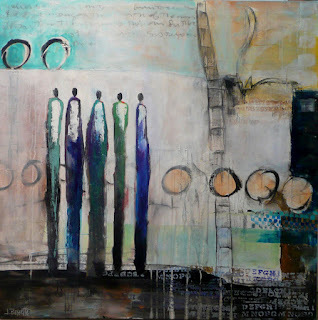 Jeanne is an artist from Raleigh, North Carolina and was named a 'top emerging artist' by Art Business News in 2012. Jeanne Bessette at Mirada Fine Art, Love Letters, Acrylic/Mixed Media on Canvas, 60" x 60"
Jeanne Bessette's internationally recognized figures depict the wild and mysterious circus of our dreams and passions. Her message touches every one of us. " We are all O.K." 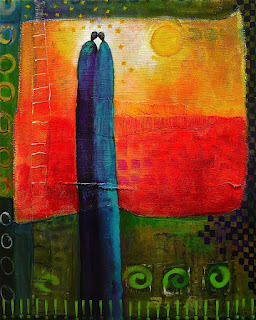 If you are fortunate enough to be in the presence of Jeanne's paintings you will experience her brilliant use of color and texture which makes every piece something that calls you to reach out and touch. 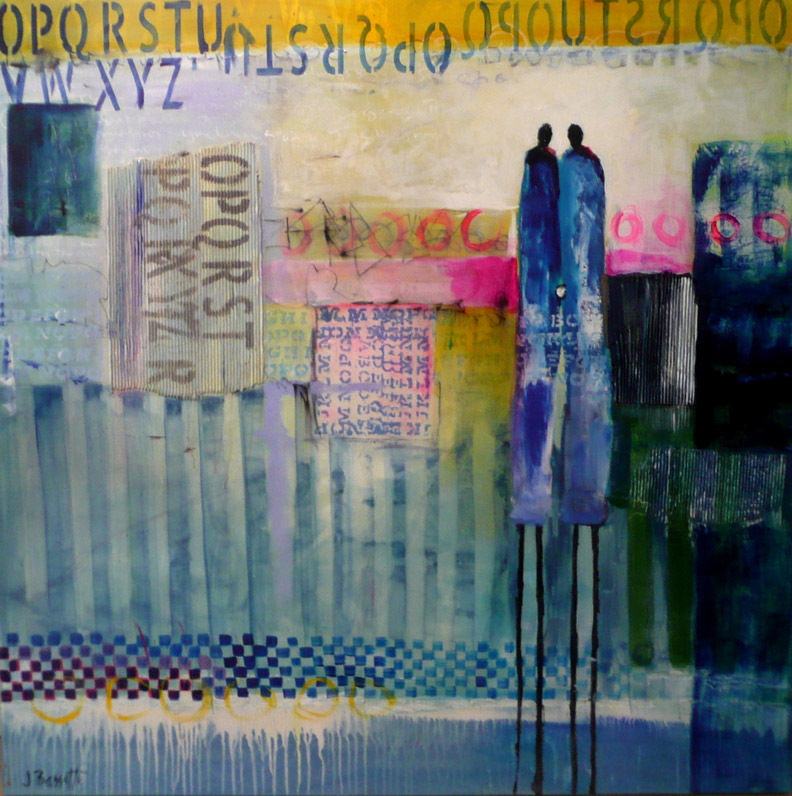 Jeanne Bessette at Mirada Fine Art, Doubting the Obvious, Acrylic/Mixed Media on Canvas, 36" x 36"
"At the heart of it, I'm a storyteller. When I enter the studio wrapped in my emotional blanket, it's as if In that moment, the external world disappears. There is only my story and I'm jazzed to share that story." 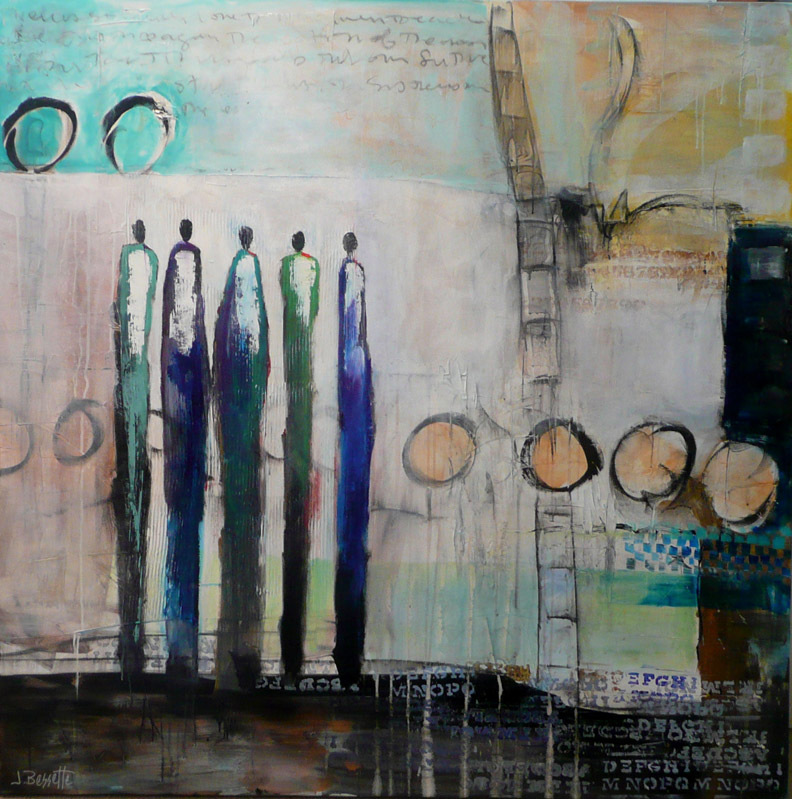 Jeanne Bessette at Mirada Fine Art, Madly, Acrylic/Mixed Media on Canvas, 60" x 48"
We hope you'll come by Mirada Fine Art and check out Jeanne's work in person! 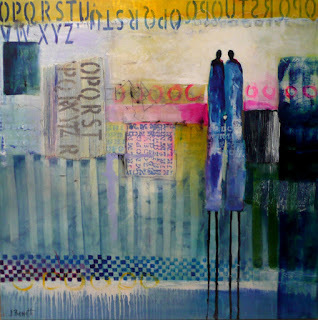 Jeanne Bessette at Mirada Fine Art, Sisters, Acrylic/Mixed Media on Canvas, 60" x 60"
We've just released our 2012 Summer/Fall show schedule and we're thrilled about our line-up of exciting award-winning artists. You'll notice some brand new names as well as some Mirada crowd-pleasers. Below you will see a synopsis of each show...make sure you mark your calendars! 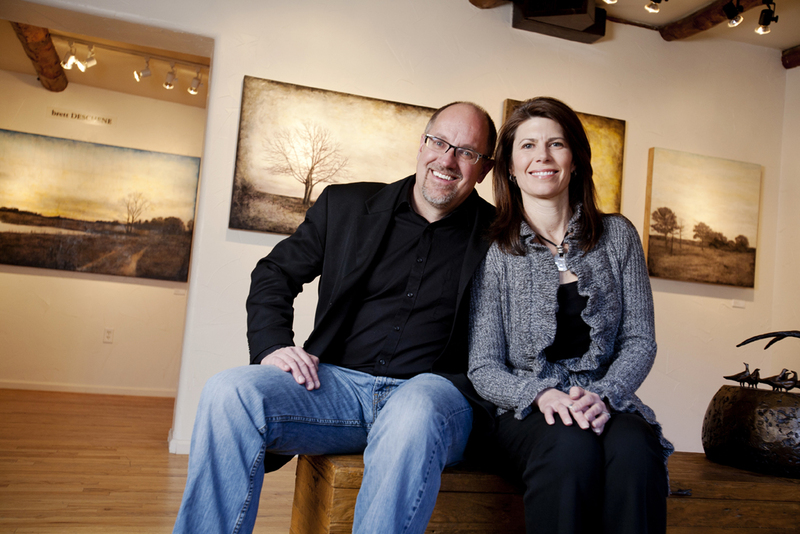 In 2011, the editors of 5280 magazine declared Andrew Baird the best artist in the state of Colorado. After examining his remarkable work, it is easy to understand why. At first glance, Mr. Baird's paintings seem to resemble the work of Jackson Pollock, but when the linear portraits begin to appear, the striking differences become clear. Using a simple 'stir stick,' Baird drips paint onto a canvas on the floor - no brushes are ever used. The eventual outcome is truly spectacular: remarkable portraits. 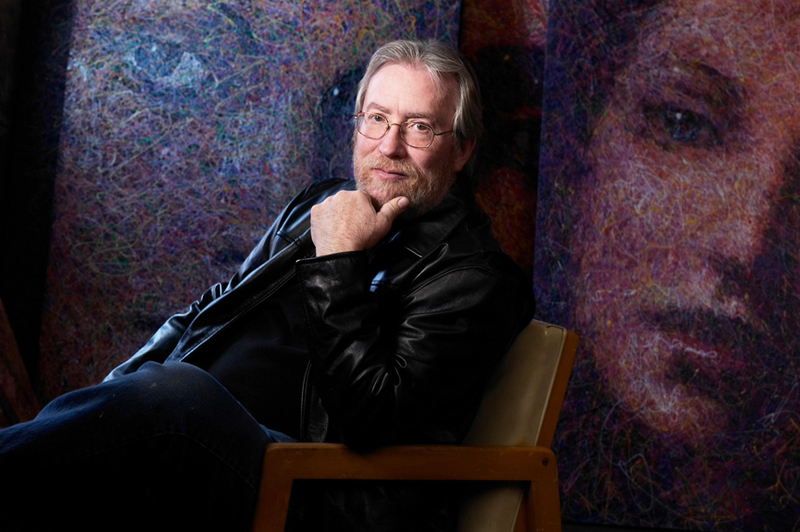 landscapes, and American icons...all in Mr. Baird's one-of-a-kind style. 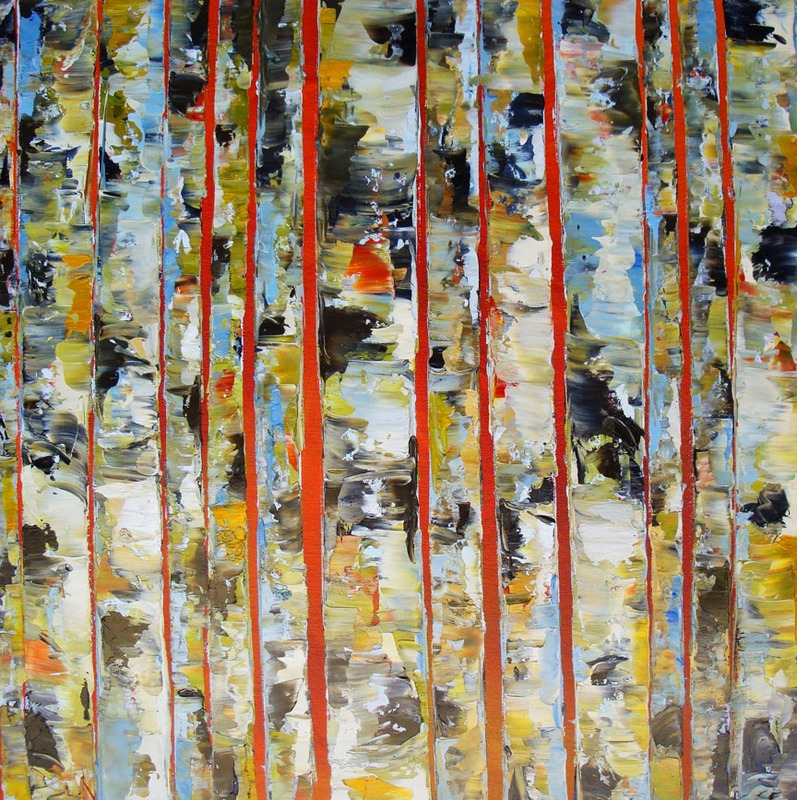 Vibrant color combinations allow the subject to intriguingly appear and disappear, actively engaging the viewer. 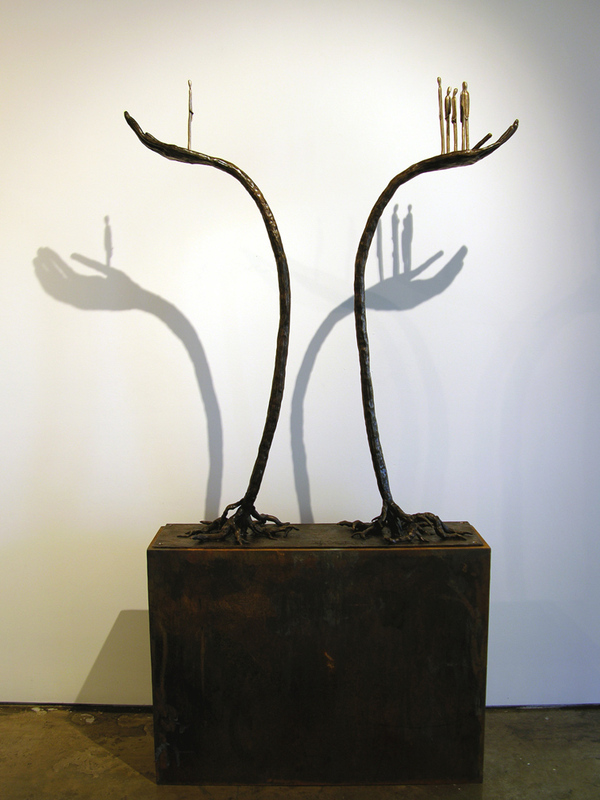 Jennyfer Stratman’s goal is to transform her experiences and interpretation of the world into the visual language of sculpture. It’s what inspires her to create. 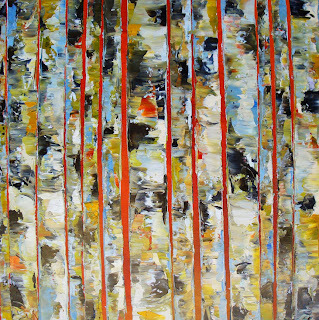 Her work reveals a personal journey by contemplating the interior landscape of the psyche and how this resonates with her experience of the exterior world. 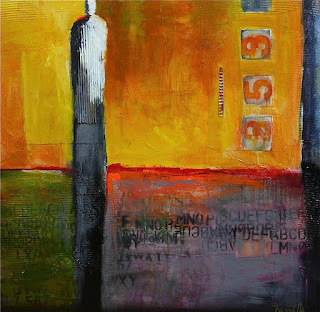 The narrative qualities in her work evoke an emotional response that speaks broadly about the experience of being human. Jennyfer Stratman was raised in Arizona, and now divides her time between Phoenix and Melbourne, Australia. 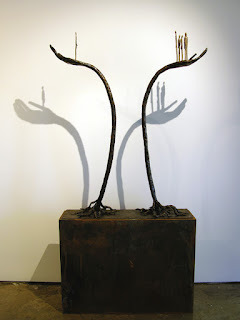 Her work is in numerous corporate collections as well as hundreds of private collections worldwide. Tim Howe at Mirada Fine Art, Birch #8, Oil on Canvas, 20" x 20"
Mr. Howe’s work is collected globally and can be seen in in the background of numerous movies, television shows, and commercials including ‘Transformers’ and ‘Grey’s Anatomy.’ This will be Mr. Howe's first exhibition in Colorado. 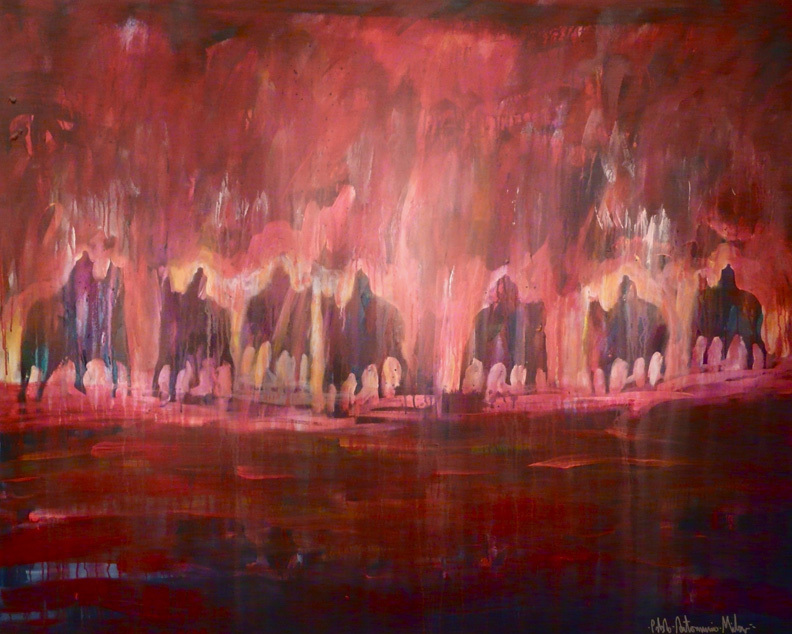 Pablo Milan at Mirada Fine Art, Red March, Acrylic on Canvas, 48" x 60"
The images of Pablo Milan's Southwest heritage explode onto the canvas with loose brushstrokes revealing expressionistic versions of horsemen, dancers, and warriors. His prestigious resume includes highlights such as 'Spanish Artist of the Year.' Don't miss this opportunity to meet Pablo at this remarkable exhibition! 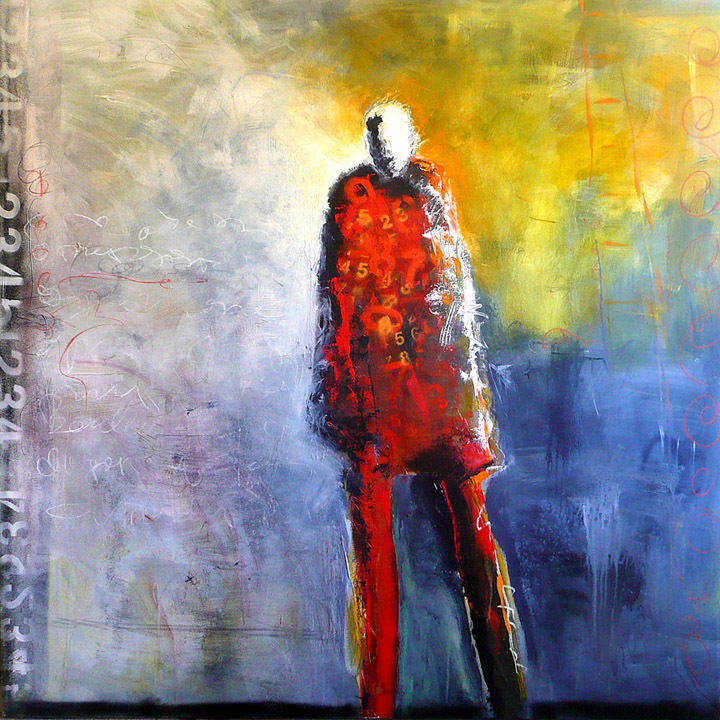 Jeanne Bessette at Mirada Fine Art, Not Just a Number, Mixed Media on Canvas, 60" x 60"
Jeanne Bessette's internationally recognized figures depict the wild and mysterious circus of our dreams and passions. Her message touches every one of us. "We are all O.K." If you are fortunate enough to be in the presence of Jeanne's paintings you will experience her brilliant use of color and texture which makes every piece something that calls you to reach out and touch. Jeanne was named one of the 'top emerging artists of 2012' by Art Business News. This is her first exhibition in Colorado.